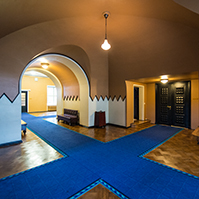 The Riigikogu passed the Act on Amendments to the Creative Persons and Artistic Associations Act and Amendments to Other Associated Acts (522 SE). 63 members of the Riigikogu supported the passing of the Act, nobody was against and one member abstained. The Act mitigates the problems relating to the health and pension insurance of freelance creative persons in connection with the particularity of their activities and receipt of the income received from creative activity. The Act provides for a dual mechanism for supporting creative persons – the payment of support through a recognised artistic association, or the payment of support through the Ministry of Culture to a freelance creative person who has not joined any creative association. The Act does not force creative persons to join a creative association in order to receive the creative activity support as a social good. The supporting is based on the general requirement that a creative association must have at least 50 members who are natural persons with active legal capacity who for at least the last three years have been engaged in creative work in the respective creative field and have published their works. The Act specifies several regulations relating to the recognition of creative associations and the grant of supports. The Riigikogu passed with 80 votes in favour the Act on Amendments to the European Parliament Election Act (520 SE). The Act changes the arrangements for the exercise of the right of a national of an EU Member State to stand as a candidate. The content of the right to stand as a candidate remains unchanged. The Act specifies the communication between administrative authorities in regard of Estonian authorities and the competent authorities of the EU which will not involve significant increase of the average level of activities of an administrative authority. The amendment is based on the relevant EU directive according to which the Member State of residence should be required to notify the home Member State of declarations submitted together with an application to stand as a candidate, in order to verify whether the citizen of the Union has in fact been deprived of the right to stand in elections to the European Parliament in the home Member State. The Riigikogu ratified the Optional Protocol to the Convention on the Rights of the Child on the Involvement of Children in Armed Conflict (442 SE). The main aim of the Optional Protocol is to raise the age of possible recruitment of persons into armed forces and their participation in hostilities which will help significantly reduce the number of children participating in hostilities. 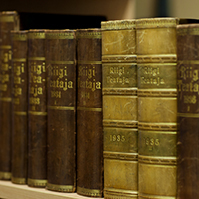 34 members of the Riigikogu voted in favour. The second reading of the Bill on Amendments to and Implementation of the Maintenance of Law and Order Act (424 SE), initiated by the Government, was suspended. A total of 141 motions to amend the Bill had been submitted and therefore the Legal Affairs Committee moved to suspend the second reading of the Bill. The purpose of the Bill is to make necessary amendments which would allow for the current Act to be applied also to inspectional state supervision. The Bill harmonises and amends the current special Acts relating to law enforcement which regulate state supervision. The procedure for the issue of an activity licence or a building, environmental or other permit and the procedure for the grant of monetary or non-monetary aid have not been included in the scope of application of the Act. The Bill is intended to ensure the state supervision proceedings which function on uniform bases, are more effective, have more legal clarity and take more account of the fundamental rights of persons. After the entry into force of the Act, all bodies responsible for maintenance of law and order will exercise state supervision on uniform bases. Peeter Võsa and Kalle Laanet took the floor during the debate. 20 December was set as the deadline for submission of motions to amend. The Bill on Amendments to § 32 of the State Budget Act (547 SE) passed the first reading. It grants the Ministry of Finance the possibility to organise the payments related to funded pensions and securities made by the registrar of the Estonian Central Register of Securities to be settled through the State Treasury, if necessary. The new State Budget Bill (513 SE) which is in the legislative proceeding provides such an opportunity but the proceeding of the new Act may take time. The amendment will have to enter into force before 1 February 2014. This is the deadline by which the registrar of the Estonian Central Register of Securities is required to take its settlements out of Eesti Pank. The third reading of the Bill is scheduled for 19 December. The Bill on Amendments to and Repeal of Acts in connection with a Review of Legislative Acts (519 SE), initiated by the Government, passed the first reading. The Bill organises the current law also through the repealing of the Acts on the ratification of the international agreements that have been fulfilled and terminated that are subject to private international law. The Acts on ratification to be repealed by the Bill concern financial obligations assumed by the Republic of Estonia. These Acts had approved the taking of loans or the granting of guarantees to international banks or organisations. The obligations assumed have been fulfilled by now and the loans taken on the basis of these Acts have been repaid. The Minister of Justice Hanno Pevkur who presented the Bill said that the Bill proposes the repeal of the Acts which have lost their regulatory action by now, including the Acts specified in § 2 of the Constitution of the Republic of Estonia Implementation Act and the Acts on the ratification of the international agreements that are subject to private international law. Eiki Nestor and Hanno Pevkur took the floor during the debate. 7 January 2014 was set as the deadline for submission of the motions to amend the Bill. The Bill on Amendments to the Identity Documents Act, the State Fees Act and the State Borders Act (550 SE), initiated by the Government, passed the first reading. It provides that the period of validity of a digital identity card in a mobile-ID format will be five years instead of the current three years. 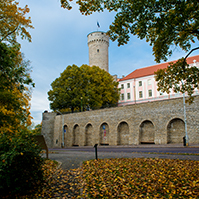 It also provides that an Estonian citizen who resides or stays in a foreign country has the possibility to apply for an Estonian citizen’s passport without fingerprints. The new regulation simplifies the possibilities of Estonian citizens who reside or stay in a foreign country to apply for a travel document. „The regulation simplifies the possibilities of Estonian citizens who reside or stay in a foreign country to apply for a travel document, and a relevant state fee will be provided for in the State Budget Act,“ said the Minister of Internal Affairs Ken-Marti Vaher who presented the Bill. He added that the Act is planned to enter into force in two stages: the amendments relating to the period of validity of a mobile ID would enter into force as of 1 February 2014 and the remaining provisions of the Bill are planned to enter into force as of 1 October 2014, first of all because developments need to be carried out in the information system of the Police and Border Guard Board for issuing travel documents with a period of validity of one year and without fingerprints. 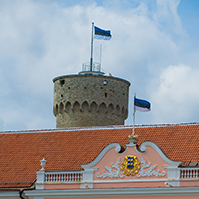 The Draft Resolution of the Riigikogu “Approval of the Estonian Research and Development and Innovation Strategy 2014–2020 „Knowledge-based Estonia“” (529 OE), initiated by the Government, passed the first reading. 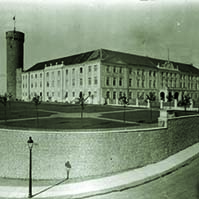 It is the third research and development and innovation strategy of Estonia. It takes into account the experience of the previous period, the lessons learned and recommendations from experts, the tasks arising from the Constitution and other legislation, and the trends of the future. The preparation of the strategy is necessary for coherent management of the areas of activities of several ministries and improvement of the use of European Union structural funds in order to ensure increasing competitiveness of the state in the period 2014-2020. While the strategies have thus far focused particularly on the development of our research and development and innovation capacity, the aim of the new strategy is that the potential that has been created be used for the development and economic growth of Estonia. The setting of priorities is based on the smart specialisation methodology. With a view to smoother trans-field coordination, specifications have been made in management and monitoring issues. The Minister of Education and Research Jaak Aaviksoo said before the Riigikogu that while the strategies had thus far focused particularly on the development of the research and development and innovation capacity of Estonia, the aim of the new strategy is that the potential that has been created be used for the development and economic growth of Estonia. “The setting of priorities is based on a new smart specialisation methodology. The research and development activity makes the economic structure more knowledge-intensive. The research and development investments selected and managed with the smart specialisation methodology facilitate the development of growth sectors at an advance pace, and the proportion of knowledge-intensive business in the economy and the added value of export will grow significantly,” Aaviksoo said. 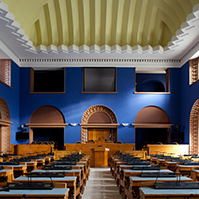 The Riigikogu rejected from the legislative proceeding at the first reading (51 in favour, 28 against) the Bill on Amendments to § 16 of the Roads Act (489 SE), initiated by the Estonian Centre Party Faction.